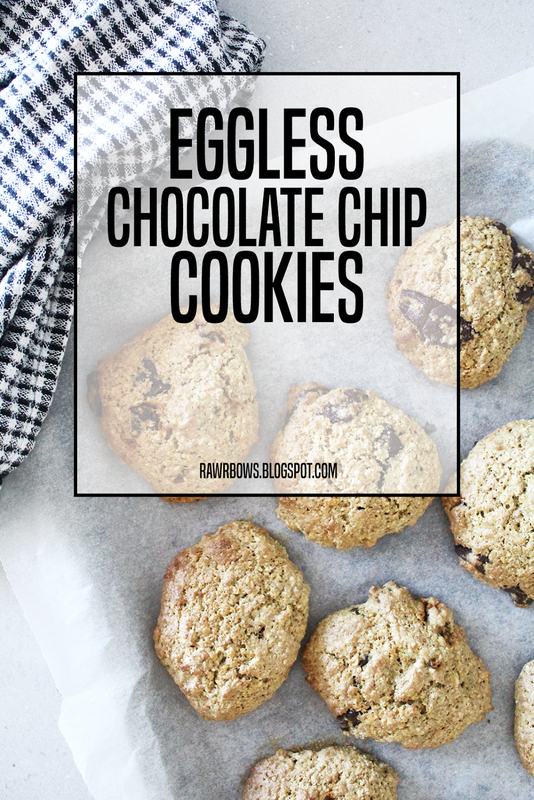 EGGLESS CHOCOLATE CHIP COOKIES | RAWR BOWS. The other day I was craving Ben's Cookies very very badly. However, I know they're not exactly super healthy for you and I didn't want to spend any money either so I decided to bake my own cookies. I didn't have any eggs or butter, and a trip to the grocery shop didn't sound appealing at the time, so I got a bit creative. And by creative I mean I just used the few random ingredients I had. These cookies turned out to be much better than I had anticipated and they literally took me like 20 min overall. They are not super fancy or have any crazy ingredients, just a good old chocolate chip cookie recipe by someone who was too lazy to go to the supermarket. This is honestly going to be the shortest recipe ever but all you have to do is mix all of the ingredients in a bowl, making sure it's evenly mixed. 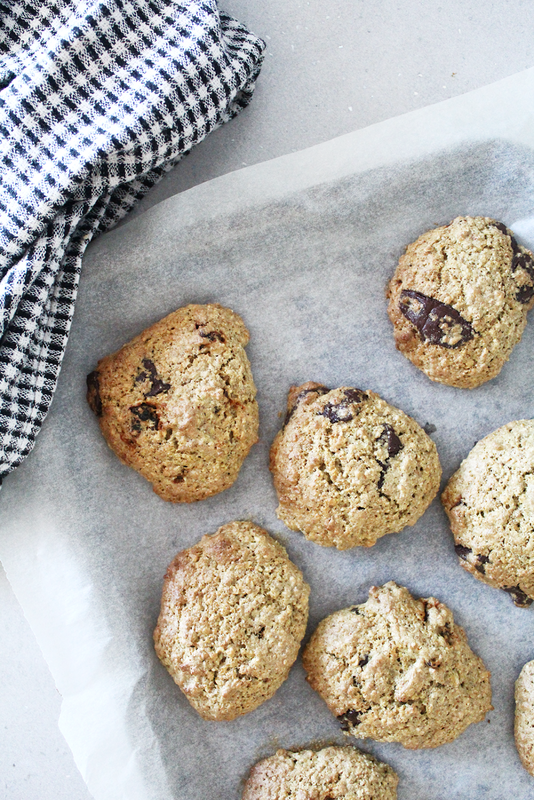 Line your baking tray with some baking paper and use a tablespoon to make the cookies. 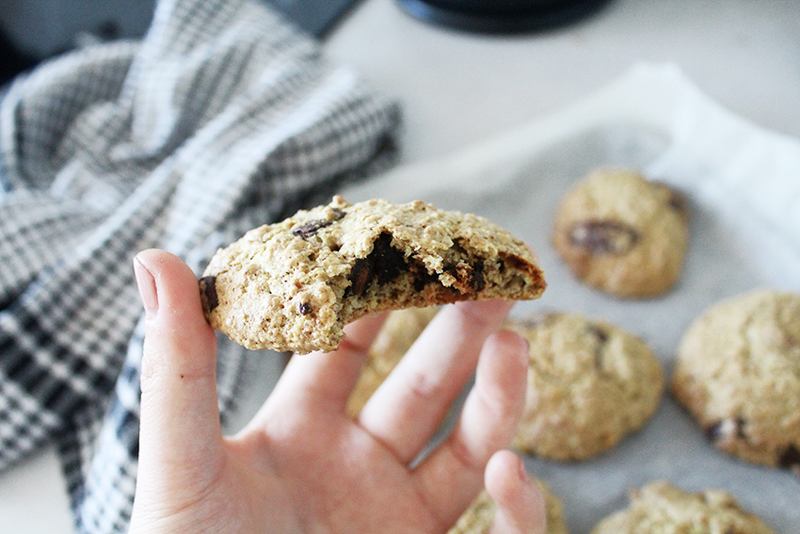 Bake at 180˚C for 10-15 min depending on how soft you like your cookies et voilà!